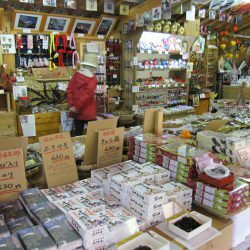 This is a popular morning market with an array of seasonal ingredients harvested from the base of the Northern Japan Alps and other local specialty products. 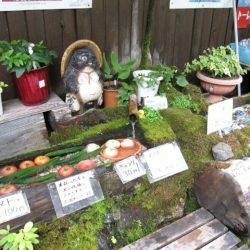 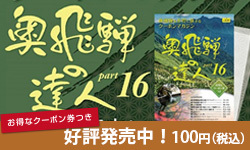 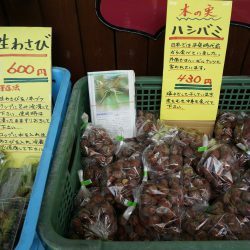 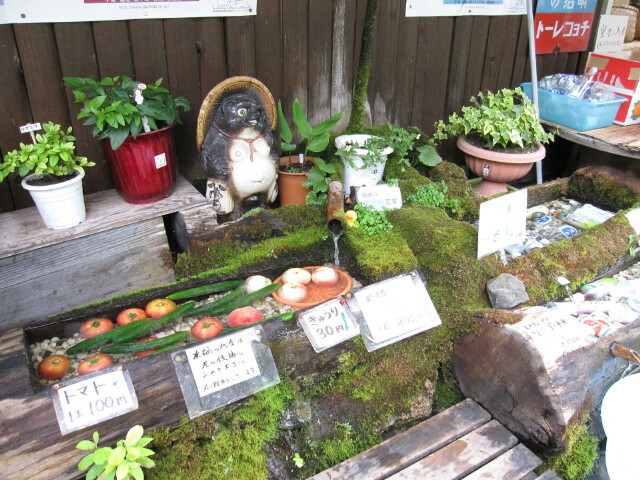 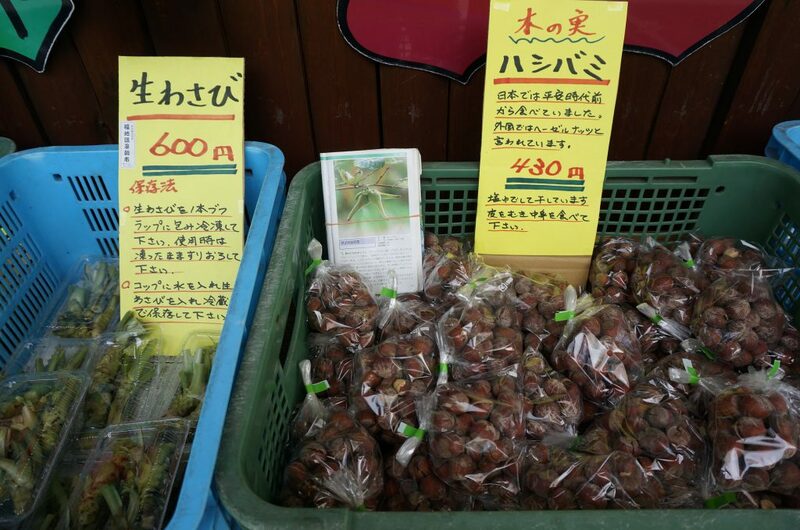 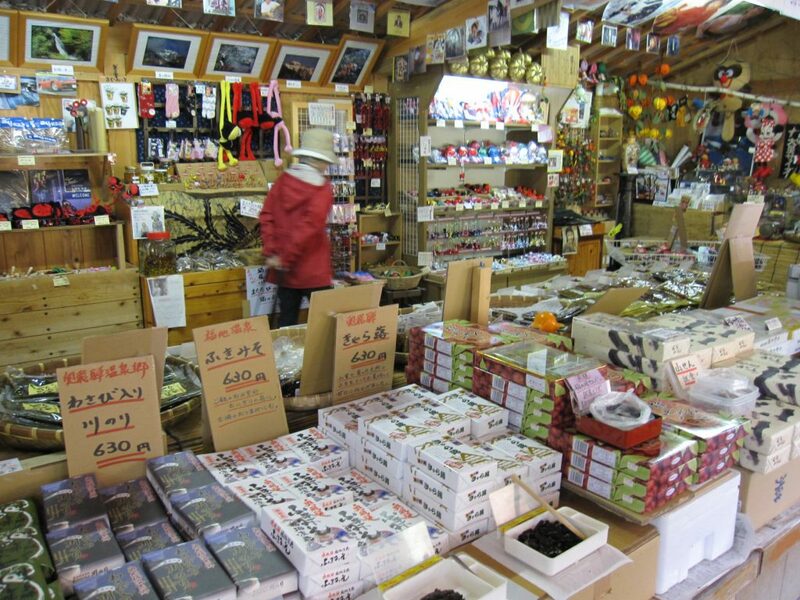 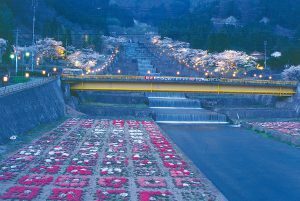 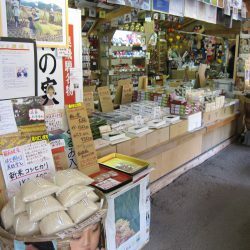 The market sells mountain vegetables such as angelica-tree shoots and kogomi fern sprouts in spring, freshly harvested vegetables in summer, wild mushrooms and fruits in autumn, and items such as preserved daikon radish in winter. 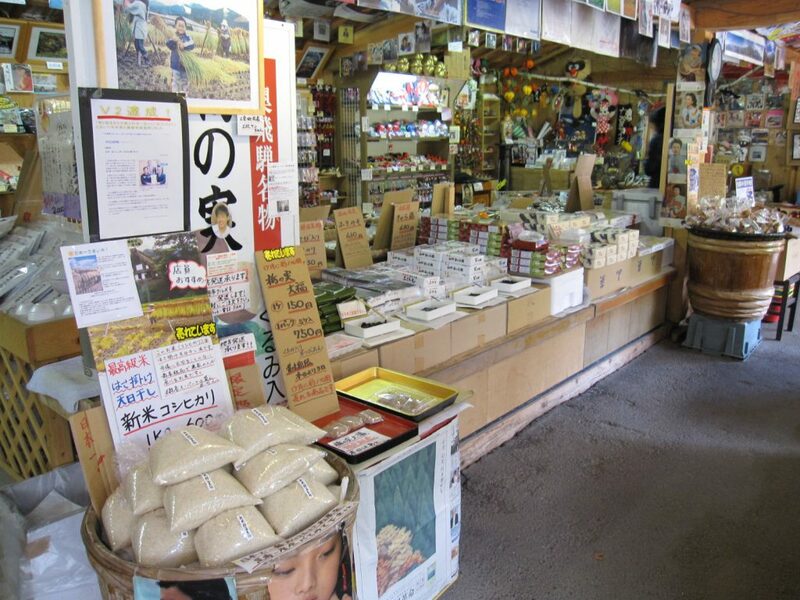 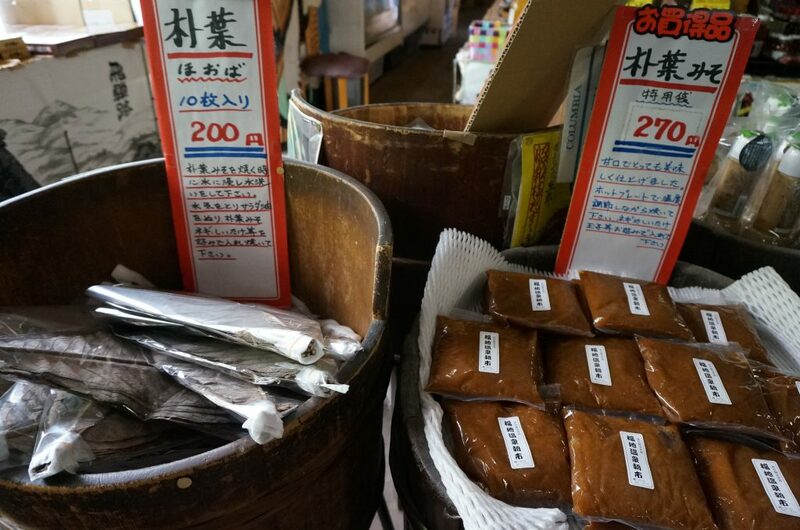 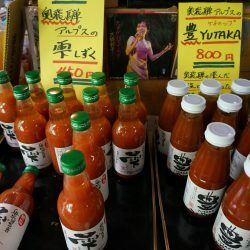 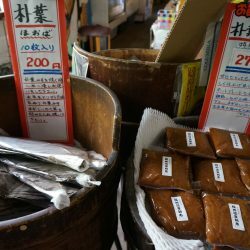 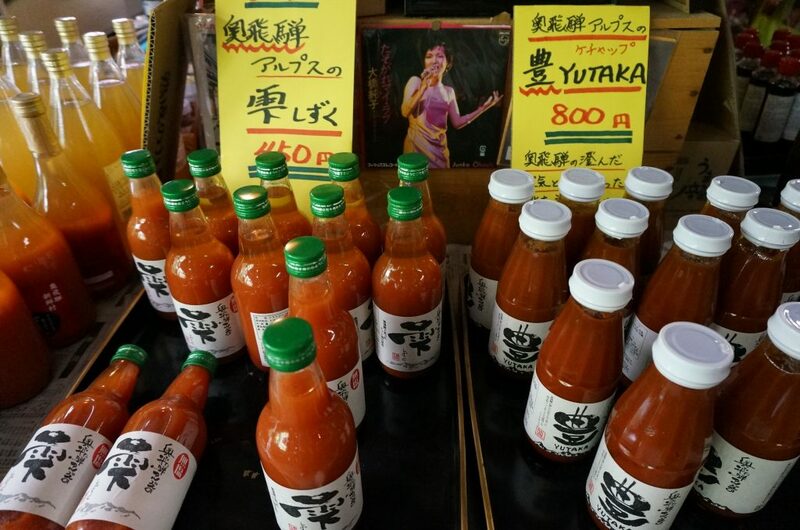 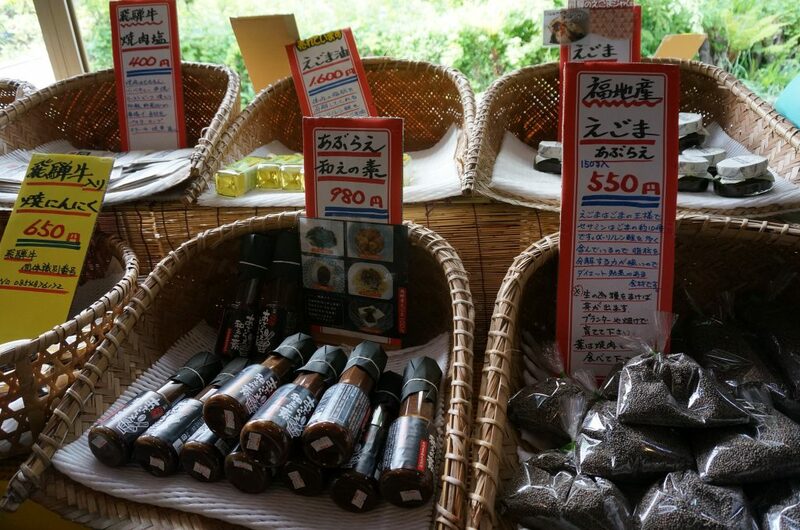 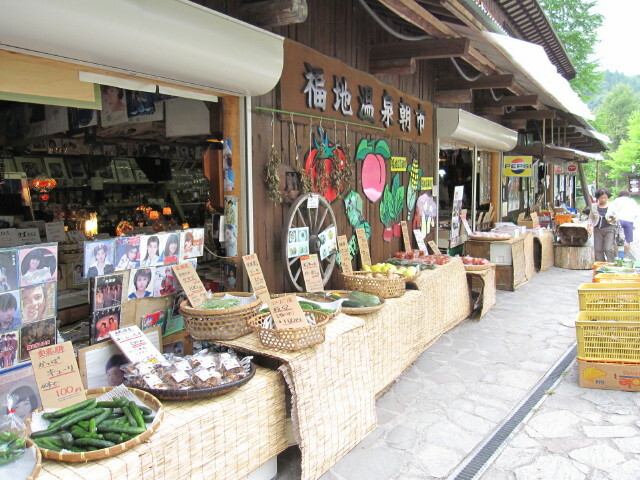 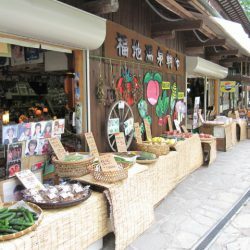 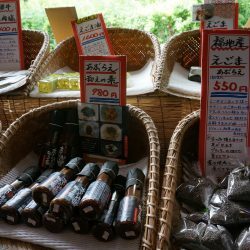 The market also has an array of other delicious foodstuffs such as hoba miso (miso paste served and grilled on a magnolia leaf, a standard breakfast fare), Okuhida’s special Hida-sansho seasoning and tomato juice.